Rolex: Real or a Replica? So what do you think? Can you tell whether a luxury watch is faux or fantastic based on a photograph? 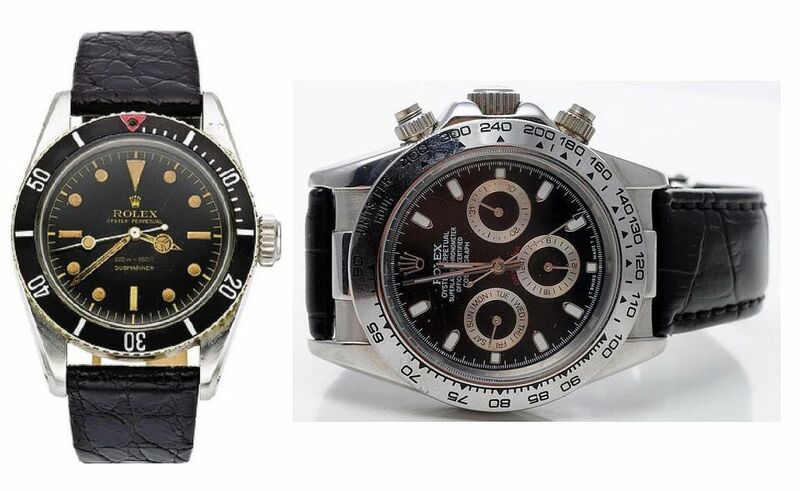 The truth is, while there are some pretty obvious fakes out there, many Rolex watch replicas can prove to be tricky these days, even for watch professionals. They may have their suspicions about authenticity based on an outward appearance, but they don’t know for sure with the really good fakes until the back is removed and the movement is examined. And in case you were thinking of popping the back off yourself to take a peek, that type of maneuver is best left to an appraiser authorized in servicing these high end watches to avoid damaging a valuable timepiece. When investing in Rolex wristwatches, whether from an auction house, antique dealer, or an individual, you should buy from a reputable seller who will stand behind the sale. This is especially true when buying based on a photograph as demonstrated here. Make doubly sure that the purveyor of the watch you have your eye on will take it back and issue a full refund before making your purchase. Another option is to consider paying with a credit card or payment service that offers buyer protection to give yourself further recourse if you end up with a dud. Also remember to have the watch evaluated by a an authorized Rolex appraiser as soon as possible after you receive it. Send it back by an insured method promptly, if necessary, to make sure you’re compliant with return policies. About the Watches Shown Above – Which One is Authentic? Did you guess that the authentic Rolex is the one shown on the left in the photo above? Good eye. That one is a vintage Submariner dating to the 1950s, just before Sean Connery started sporting this style of watch in a number of movies as James Bond. The watch on the right is a more modern replica of the equally popular Rolex Daytona. Rolex: Is It Real or a Replica?